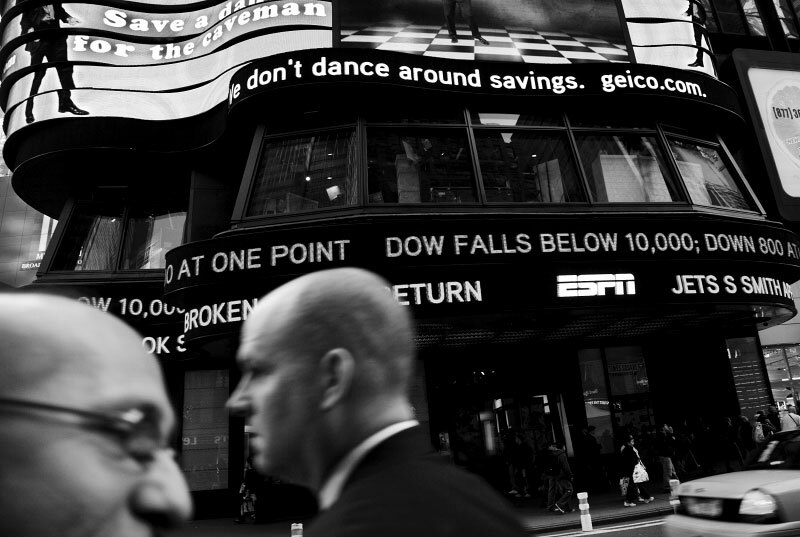 Men walk in front of the Times Square news ticker flashing information about the Dow dropping below 10,000 Monday. Following a big drop of the Asian Markets, the Dow Jones industrials plunged as much as 800 points -- their largest one-day point drop -- before recovering to close with a loss of 370, resulting in the Dow below 10,000 for the first time in four years, despite the US and other states’ government efforts to contain the fast-spreading financial crisis. New York, Oct 06 2008.